Speech Synthesis is the artificial production of human speech. A computer system used for this purpose is called a speech computer or speech synthesizer, and can be implemented in software or hardware products. A text-to-speech (TTS) system converts normal language text into speech; other systems render symbolic linguistic representations like phonetic transcriptions into speech. Synthesized speech can be created by concatenating pieces of recorded speech that are stored in a database. Systems differ in the size of the stored speech units; a system that stores phones or diphones provides the largest output range, but may lack clarity. For specific usage domains, the storage of entire words or sentences allows for high-quality output. Alternatively, a synthesizer can incorporate a model of the vocal tract and other human voice characteristics to create a completely “synthetic” voice output. The quality of a speech synthesizer is judged by its similarity to the human voice and by its ability to be understood clearly. An intelligible text-to-speech program allows people with visual impairments or reading disabilities to listen to written works on a home computer. Many computer operating systems have included speech synthesizers since the early 1990s. 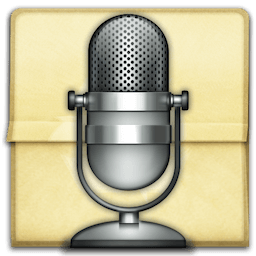 A new version of Voice 1.0.5 was submitted today to Mac App Store review team : Additions : – Addition of Speech commands. – Addition of Support. – Addition of Voices counting. Corrections : – Correction of notifications. – Correction of printing. – Correction of code.